Peter [Petar] M. Baricev (1880-1951), born on Molat, Croatia on June 27, 1880 the son of Robert Baricev and Lucille Uglesich, and Theresa [Tereza] Buyasich (1880-1957), also a native of Molat and the daughter of Frances Buyasich or Boyasich, were the progenitors of the Baricev family at Biloxi, Mississippi. Their children were: John Baricev (1901-1928); Joseph P. Baricev (1904-1999) m. Jessie Traina (1899-1996); Anthony M. Baricev (1908-1982) m. Maritza (Mary) Jurich (1911-1997); Peter J. Baricev (1921-1996) m. Jane Alla Brown (1922-1993); and Josephine Lucille Baricev (1923-1957+) m. Marion L. Lutes (1922-2001) and Harold S. Bourgouin. In 1936, the Baricev family move their restaurant business to Gretna, Louisiana. Joseph Francis Baricev (1927-2011) was born at New Orleans on April 28, 1927. In Harrison County, Mississippi in September 1947, he married Jane Wilson Searles (1928-2014) and they were the parents of two sons: Joseph Baricev (b. 1948) and Gregory Scott Baricev (1954-2016). Joseph Baricev was born at Biloxi, Mississippi on July 19, 1948. 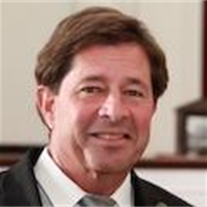 Gregory 'Greg' Scott Baricev (1954-2016), age 61 years, of Biloxi, passed away on Monday, January 11, 2016, in Biloxi. He was born at Biloxi, Mississippi on August 17, 1954 and was a lifelong resident of Biloxi and was employed in the family business, Baricev's Seafood Restaurant. Greg received his degree in Banking and Commerce from the University of Alabama, the alma mater of his mother. He was an avid cyclist and loved being outdoors. Greg was preceded in death by his parents, Joseph and Jane Baricev, and his grandson, Whit Bogard. Survivors include his daughter Katie (Beau) Bogard, a grandson, Wyatt Bogard, and a brother, Joseph Baricev. A visitation will be held on Sunday, January 17, 2016 from 2pm-3pm at the Pass Road Chapel of Bradford O'Keefe Funeral Home. A private burial in Southern Memorial Park will be held at a later date. Tony Baricev died at Biloxi, Mississippi on May 19, 1982. Jomarie Baricev Soares had preceded him in death passing on December 23, 1976. Their corporal remains were interred in Southern Memorial Park cemetery. Maritza Jurich Baricev died on August 4, 1997. Her remains were also interred at Southern Memorial Park. Peter J. Baricev (1921-1996) was born at NOLA. He married Jane Alla Brown (1922-1993) in Harrison County, Mississippi on December 20, 1941. 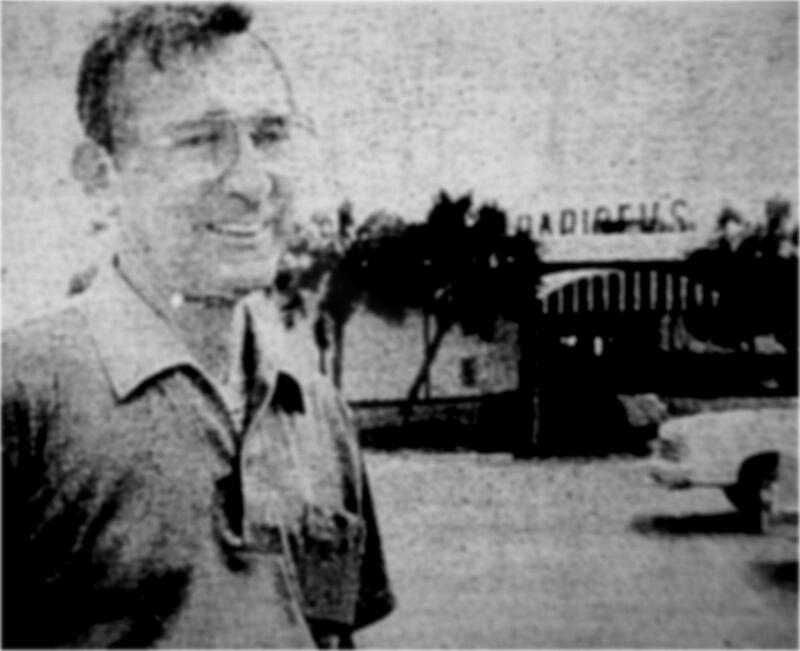 The Advocate [Baton Rouge], “Restaurant now hurricane resistant”, September 22, 1985. The Daily Herald, “Biloxi News Paragraphs”, March 2, 1921. The Daily Herald, “Biloxi News”, August 13, 1941. The Daily Herald, “New Baricev Restaurant”, June 30, 1948. The Daily Herald,“Jomarie Baricev Soares”, December 1976. The Sun Herald, “Services held today for [Jessie Traina] Baricev”, October 12, 1996. The Sun Herald, “Mary J. Baricev”, August 6, 1997, p. C-2. 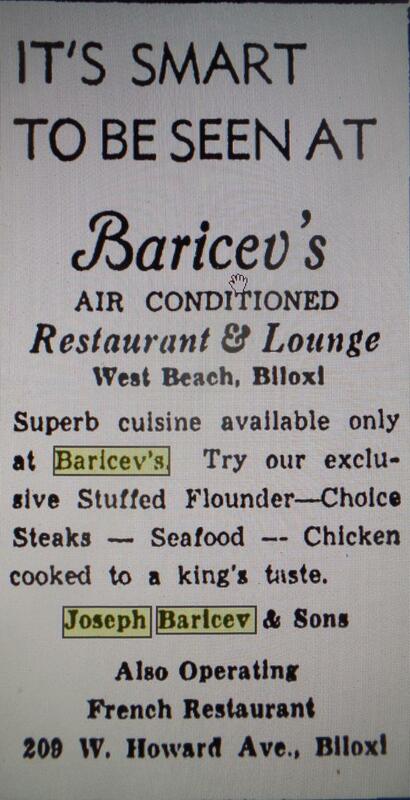 The Sun Herald, “Baricev made seafood his life”, December 10, 1999. The Sun Herald, “Robert L. ‘Bobby’ Baricev”, September 11, 2003. The Sun Herald, “Theresa Jelusich Baricev”, May 29, 2005. The Sun Herald, “Joseph F. Baricev”, August 25, 2011. The Sun Herald, “Restauateur remembered for his seafood”, August 26, 2011. The Sun Herald, “Jane Baricev”, November 23, 2014. The Sun Herald, "Gregory Baricev', January 14, 2016. The Times-Picayune, “Baricev-Traina”, October 14, 1925. The Times-Picayune, “Frog legs, hard and soft shell crabs, shrimp are featured at Baricev's Auditorium Restaurant”, May 27, 1934. The Times-Picayune, “Baricev-Jelusich”, September 5, 1948. The Times-Picayune, “Neville rips Biloxi team by 41-13”, December 2, 1950. The Times-Picayune, “Peter M. Baricev”, November 17, 1951. The Times-Picayune, “500 Biloxi fish boats blessed”, August 1, 1955. The Times Picayune, “[Theresa B.] Baricev”, October 18, 1957. The Times-Picayune, “Mrs. Victor John Baricev”, November 13, 1958. The Times-Picayune, “Mr. and Mrs. Joseph Baricev celebrate 50th wedding anniversary”, October 15, 1975. The Times-Picayune, “[Gregory] Baricev-[Norsene] Moody”, March 14, 1982, Section IV, p. 16.. The Times-Picayune, “Harris-Baricev”, March 20, 1983. The Times-Picayune, “Restaurant now hurricane resistant”, September 22, 1985. The Times-Picayune, “Donnelly-Baricev”, May 17, 1987. The Times-Picayune, “Joseph P. Baricev”, December 10, 1999. John Barich (1900-1946) was born December 14, 1900. He died on January 12, 1946. Julius Barich expired on January 23, 1993. Mary Rodolfich Barich passed on October 1997 and Mary Joyce Barich died on September 13, 1999. Their corporal remains were interred in the Evergreen Cemetery on Old Fort Bayou at Ocean Springs, Mississippi. The Sun Herald, “August ‘Capt. Augie’ Barich”, November 3, 1994, p. A2. The Sun Herald, “Mary R. Barich”, October 2, 1997, p. A2. The Sun Herald, “Mary Joyce Barich”, September 15, 1999, p. A7. The Sun Herald, “Sarah F. Barich”, May 17, 2003, p. A5. The Sun Herald, “Edna S. Barich”, February 16, 2009. The Sun Herald, “Joseph P. Barich”, April 20?, 2011. Martin P. Baronich made his livelihood as a fisherman for the local seafood canneries. The family homestead was at 223 Sophie Street on Point Cadet. The USS Serpenswas lost with two hundred-fifty men in late January 1945 while loading ammunitions and depth charges at Guadalcanal in the Solomon Islands. This is the first part of the story of two Biloxians who served on the same ship during WW II. Martin Paul Baronich jr. was one of the eight sons of Martin Baronich and Antonia Jelusich. After WW II was underway, he and two of his seven brothers rushed inot the fray to save our country. Martin and Victor Baronich joined the US Coast Guard and Harold Baronich enlisted in the US Navy.After basic and advanced military training at San Diego, California, martin baronich was assigned to the USS Serpens [AK-77], which was commissioned May 28, 1943. The vessel was sent to the South Pacific theatre to engage the Japanese naval forces in that region. The USS Serpens had the most dangerous of assignements, as an ammunition and cargo supply carrier.If you know military history, you surely know that a stunning percentage of military deaths are caused by friendly fire and failure. Martin Baronich Jr. was a victim of the latter. He was topside near a cargo hold where the supplies were being transferred from the USS Serpens, when a swinging boom's rigging knocked him into the hold. In the 35-foot fall, the twenty-one year old sailor broke his neck and other bones. Martin died two hours after the accident. Eight years later Martin's corporal remains were shipped to Biloxi, Mississsippi accompained by a US Coast Guard sailor. His body was reinterred in the Southern Memorial Park cemetery on Biloxi's West Beach. Lyle Page played Taps at the graveside ceremony. Harold Baronich and Victor Baronich returned home safely after WW II. Leopold 'Poley' M. Baronich was born February 17, 1924 at Biloxi, Mississippi. 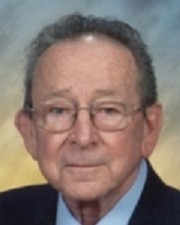 Harold J. Baronich Sr. (1924-2001) was born at Biloxi, Mississippi on February 28, 1924. He married Cecelia Manno (1924-2007) and they were the parents of five children: Harold J. Baronich Jr.; Carol A. Baronich (1945-2011) m. William George Kuhn Jr.; Cecilia R. Baronich (1943-2002) m. Mr. Drouant; Josephine Baronich (1947-2002) m. Edwin Earl Duncan Jr. and Alexander Petit; Tina Baronich m. Mr. Matherne. Burnett 'Sookie' J. Baronich (1934-1983) was born at Biloxi, Mississippi on October 26, 1934. He married Sybil White in Harrison County, Mississippi on April 10, 1954. Burnett J. Baronich died on July 6, 1983 and his corporal remians were interred in the Biloxi Cemetery. Robert W. Baronich (b. 1939) married Germaine Kay Duncan (1944-2010), the daughter of Parker Duncan and Velma Anglada Wilkerson m. Cyril Wilkerson. They were the parents of two sons: William 'Billy' Baronich and Michael Baronich. The Biloxi-D'Iberville Press, "The good, bad and the ugly"- 'Memories of Warriors-Part X", May 23, 2013, p. 4. The Daily Herald, 'Martin Baronich dies in South Pacific', October 25, 1943, p. 2. 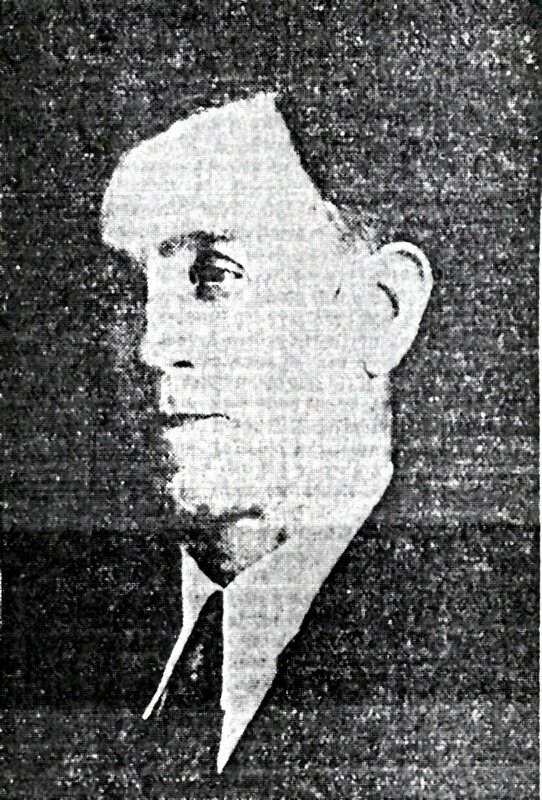 The Daily Herald, 'Baronich funeral will be held Sunday', October 25, 1947, p. 1. The Daily Herald, 'Biloxi Vet is buried with due ceremony', October 27, 1947, p. 1. The Sun Herald, “Harold J. Baronich Sr.”, June 17, 2001, p. A11. The Sun Herald, “Victor ‘Mitt’ A. Baronich”, November 23, 2003, p. A8. The Sun Herald, “Cecelia Baronich.”, December 31, 2007, p. A11. The Sun Herald, “Germaine Kay Baronich.”, March 7, 2010. The Times-Picayune, 'Missing in action', October 29, 1943. The Times-Picayune, 'List of dead', October 11, 1947. The Times-Picayune, 'Another Orleans hero due home', October 23, 1947. The Times-Picayune, "Josie Baronich Petit". May 12, 2002. Sam settled at 770 Reynoir Street in Biloxi, Mississippi. He married Anica 'Annie' Marinovich (1899-1972), a native of Brac, Croatia, and the widow of John Skrmetta (d. 1923). They were the parents of: Sam Joseph Dujmov (1924-2013) m. Elsie Breeland and Steve Dujmov (1933-2016) m. Elizabeth A. Young Dailey (1941). John [Ivan] Dujmov (1889-1959) was born at Molat on July 2, 1889 to Robert Dujmov and Mary Basich. He left Trieste and arrived at New York City on September 8, 1913 aboard the Martha Washington and settled at 315 Oak Street in Biloxi, Mississippi. (Declaration of Intention No. 764-Southern District Court-South Mississippi-. John married Mary Mandich (1891-1962) also a Molat native. 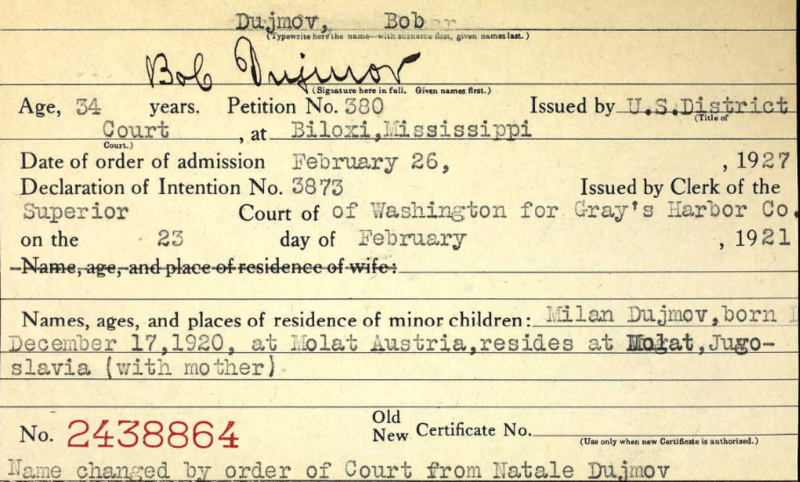 The family left Biloxi in 1927 and settled in Hoquiam, Washington. John Dujmov passed at Hoquiam, Washington on April 26, 1959. Mary Mandich Dujmov lived until December 11, 1962. 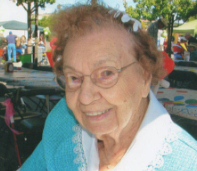 Evelyn M. Dujmov (1921-2017) was born at Hoquiam, Grays Harbor County, Washington on September 7, 1921. She married Jerry Dale Walloch (1923-2000) in Washington. Olga Dujmov (1923-) was born at Hoquiam, Grays Harbor County, Washington on July 26, 1923. She married Donald Glen Jacobs in 1945 and Mr. Dennis. Robert John Dujmov (1924-2005), age 80 years, passed away September 25, 2005, at Puget Sound Healthcare Center in Olympia. He was born December 7, 1924, in Biloxi, Missississippi, to John Dujmov and Mary Mandich Dujmov. He moved to Hoquiam with his family when he was 3 years old. Robert attended Hoquiam schools until age 16. He then went to work to help his family due to the ill health of his father. One of his first jobs was working in the circulation department of the Washingtonian newspaper in Hoquiam. He worked at the veneer plant in Hoquiam and subsequently at various plywood mills in Aberdeen and Hoquiam including Aberdeen Plywood and Harbor Plywood. While living in Hoquiam, he attended Our Lady of Good Help Church. He moved to Olympia in the late 1960s. He went to work for Delson Lumber Co. in Olympia and retired from Tumwater Lumber Co. in June of 2001.Robert was a former member of the Knights of Columbus. He was extremely close to his brother, John. Together they built his home in the Olympia area. John passed away in 2003. He was an ardent sports fan and loved to have discussions with fellow fans. He was a passionate fan of the New York Yankees and the Notre Dame Football team. Robert was a loyal customer of Mega Foods in Tumwater and enjoyed singing Happy Birthday to the clerks. 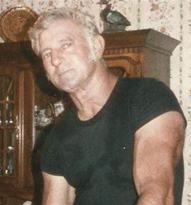 He is survived by his sisters, Rose McCauley of Olympia, Olga Dennis of Tacoma, and Evelyn Walloch of Aberdeen; his sister-in-law, Edna Dujmov of North Bend as well as several nieces and nephews.Visitation will be at Coleman Mortuary in Hoquiam on Thursday from 9 a.m. to 11:30 a.m. A funeral service will be at 12 Noon on Thurs-day, Sept. 29, 2005, at Our Lady of Good Help Church, 200 L. Street in Hoquiam. Interment will follow at Hoquiam's Sunset Memorial Park. The family suggests memorials to Robert be sent to St. Vincent DePaul Society, P.O. Box 766, Olympia, WA 98507. Arrangements by: Coleman Mortuary of Hoquiam. [The Daily World (Aberdeen, Washington), September 28, 2005. John Joseph Dujmov (1926-2003) was born at Biloxi, Mississippi on July 2, 1926. He married Edna Mae Holm (1929-2008) in Washington. Robert N. Dujmov (1892-1971) was born at Molat on March 8, 1892. He married Maria Pauline Bacich. Child: Milan Joseph Dujmov (1920-1977) m. Mary Ann Russell (1925-2012). In 1930, Robert Dujmov lived at 1417 Third Street in Biloxi where he and brother, Tony, were employed as boatmen in the seafood industry. The family relocated to New Orleans where they lived at 2855 Law Street. Dujmov managed a restaurant in 1955. Milan Joseph Dujmov (1920-1977) was born at Molat, Croatia. He came to America with his mother as they arrived 29 July 1927 at New York City as passengers on the SS Aquitania that embarked from Cherbourg, France. Milan married Mary Ann Russell (1925-2012). Linda Ann Dujmov married [in 1967] Edwin Norman Carver and later Mr. Jules Poirier. Antonio 'Tony' Dujmov (1894-1970) was born at Molat. He married Stose Antonio Kolich Dujmov (1897-1990). Children: Velma Mary Dujmov (1922-1998) m. Joseph R. Misko (1916-1990) and Mary Lucia Dujmov (1930-2017) m. James P. Jordan and Howard E. Mathieu. 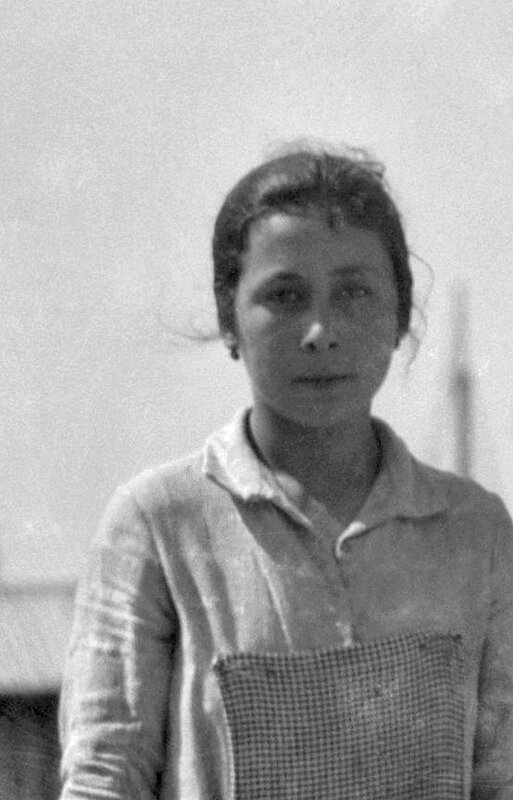 Velma Mary Dujmov (1922-1998) was born on April 1, 1922, probably at Molat, Croatia. She had been a longtime resident of Biloxi and was a retired seafood worker and was a member of St. Michaels Catholic Church in Biloxi. She was preceded in death by her parents, Anthony and Stose Dujmov; and her husband, Joseph R. Misko Sr. Survivors include two daughters, Marie A. Johnson of Royal Oak, Mich., and Lorraine Joseph of Binghampton, N.Y.; four sons, Peter Misko, Joseph R. Misko Jr. and Jerry Wayne Misko, all of Biloxi, and Keith William Misko of Royal Oak; a sister, Mary Mathieu of N. Biloxi; 17 grandchildren; and eight great-grandchildren. 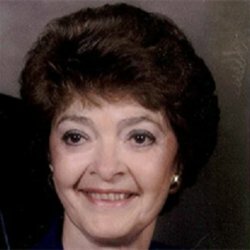 Mary Lucia Dujmov (1930-2017), age 86 years, of Biloxi, passed away on January 23, 2017. 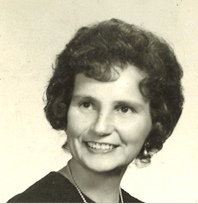 She was preceded in death by her first husband, James Pearl Jordan (1926-1962); second husband, Howard E. Mathieu (1923-2001); 4 sons, James Jordan, George Jordan, Martin Jordan, and Robert Jordan; and a sister, Velma Misko. Survivors include 2 sons, Michael (Janell) Jordan and John (Jessica) Jordan, 10 grandchildren, 11 great-grandchildren, and other relatives and friends. Mrs. Mathieu worked in the cafeteria for the Biloxi School System more than 20 years and she enjoyed painting and ceramics. The Daily Herald,“Sam Dujmov dies”, November 21, 1951. The Daily Herald, 'Tony Dujmov', November 15, 1970. The Daily Herald,“Mrs. Annie M. Dujmov”, May 25, 1972. The Daily World (Aberdeen, Washington), 'Robert J. Dujmov', September 28, 2005. The Sun Herald, “Stose Antonio Dujmov”, April 6, 1990. The Sun Herald,“Velma Dujmov Misko”, September 1, 1998. The Sun Herald, "Antonia Skrmetta Werthner", September 4, 2011. The Sun Herald, “Sam Robert Dujmov”, September 27, 2013. The Sun Herald, “Steve Michael Dujmov”, November 30, 2016. The Sun Herald, “Mary Dujmov Mathieu”, January 25, 2017. The Times-Picayune, "[Robert N.] Dujmov", June 6, 1971. The Times-Picayune, "[Marie Pauline Bacich] Dujmov", August 27, 1971. The Times Picayune, "[Milan Joseph] Dujmov", March 14, 1977. The Times-Picayune, 'Mary Ann Dujmov', July 28, 2012. 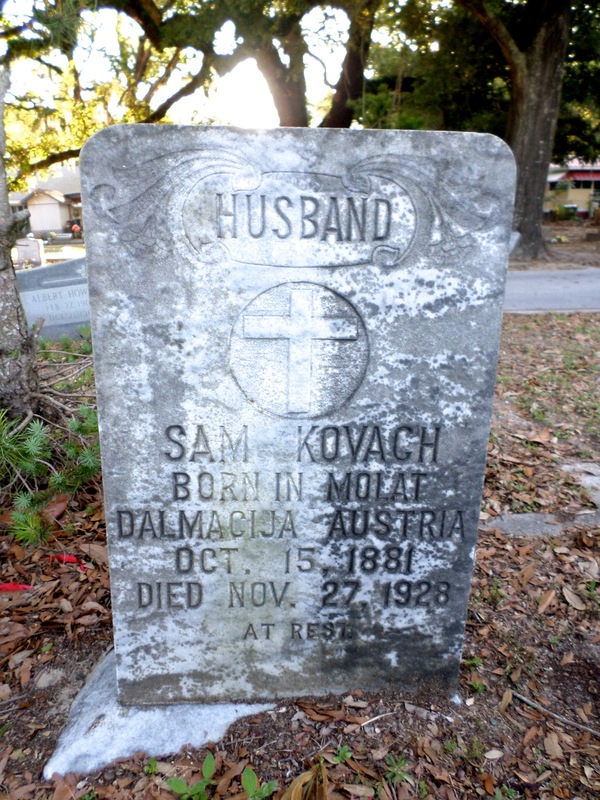 Samuel [Simeone] Kovach (1881-1928) was born at Molat on October 15, 1881 to Samuel Kovach and Lucia Barich. He married Mary Matulich (1882-1930), the daughter of Anthony Matulich and Antonia Donmoe? 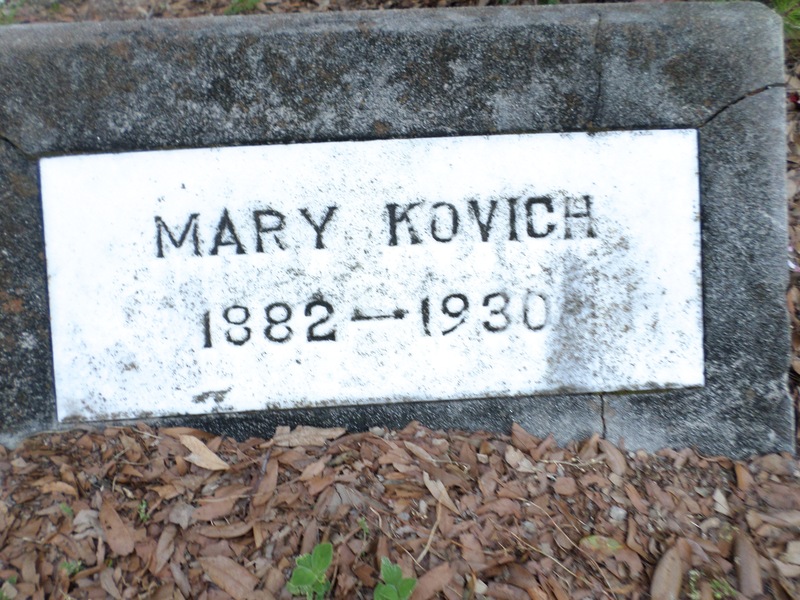 Two daughters both born at Molat: Lucy Marie Kovach (1893-19 ) married Jerko [Jerry] M. Covich (1894-1951), the son of Matre Covich and Jeanette Yancin, and Veronica Kovach (1911-1977+) married Sam Anthony Batinich (1901-1970), the son of John Batinich and Yvonne Maricnem all natives of Molat. 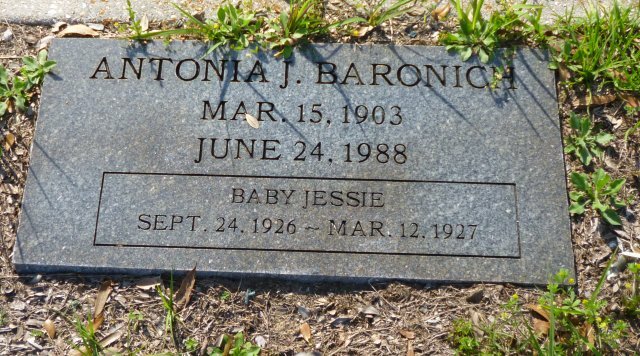 Veronica Kovach married Sam Anthony Batinich (1901-1970), a native of Molat. Frank Kovach married Inez Frances Shields? (1936-1977), the daughter of Inez Shields of Sacremento, California. Their children were: Inez K. Class; Julie Ann Kovach (1959-1993); Lynn Marie Kovach; Sandra Beth Kovach, and Steve Travis Kovach. Inez F. Kovach expired at the USAF Medical Center at KAFB in December 1977. The Daily Herald, "Mrs. Inez Frances Kovach", December 5, 1977, p. A2. The States-Item, 'New Orleans' Underground Gourmet-Sam's Place run like freindly neighbor's kitchen', March 6, 1971. The Sun Herald, “Joseph R. 'Rudy' Covich”, August 24, 2000, p. A7. The Sun Herald, “Jerry M. Covich”, June 3, 2004, p. A6. The Sun Herald, “”, . The Times-Picayune, '[Sam A.] Batinich', August 13, 1970, Section I, p. 20. George A. Magas and (1873-1929) was born on Molat on March 27, 1873. He married Mikela Bistirlich (1879-1952), a native of Bozava, Dugi Otok, a Croatian island. She was the daughter of Anthony Bistirlich and Antonio Crvicich. Their known children were: Veronica Magas (1896-2005) m. Mark Matulich; Violet Anna Magas (1910-1986) m. George Omas; George Magas (1926-1926); and Antoney Magas. The Magas family lived at 327 Oak Street. George Magas (1926-1926) was born at Biloxi, Mississippi on February 14, 1926 and died on Septmber 9, 1926. The Daily Herald,“Magas child dies”, September 10, 1926. The Daily Herald,“Eight girls in Oyster frolic”, August 28, 1934. The Daily Herald,“Miss Magas crowned first Oyster Festival; $1,379 raised”, September 3 1934. The Daily Herald,“Mrs. Magas dies”, March 3, 1952. The Ocean Springs Record, "Veronica Magas Matulich", July 21, 2005. The Sun Herald, "Veronica Magas Matulich", July 19, 2005. 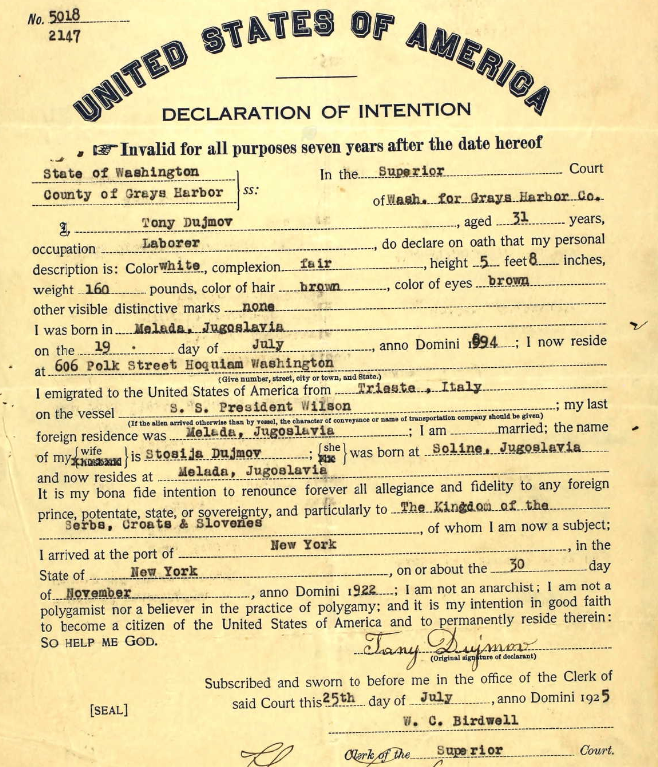 The Mavar family that came to America from Molat, a Croatian island in the Adriatic Sea, in the late 19th Century and settled at New Orleans, Louisiana and Biloxi, Mississippi were the children of Sam Mavar and Antonia Pesuvich: John Sam Mavar (1880-1960) m. Olivia Skrmetta (1888-1955); Mary Mavar (1896-1981) m. George Joseph Vodanovich (1888-1958); Herbert Mavar; Sam Mavar (1881-1974) m. Sara Stamac; Anna Mavar (18-1969) m. James Mario Biskopovich (1954); and Vladimir ‘Miro’ Mavar (1893-1975) m. Iva Grmoja (1933-1985). Children of Sam and Antonia that did not leave Molat were: Stephania Mavar Pirc; Katica Mavar Matulich; Josephine Mavar Stamac. The Daily Herald, “Marine News of past week”, November 22, 1913. The Daily Herald, “Maine News of past week”, May 18, 1914. The Daily Herald, “List of deeds filed for record”, July 31, 1914. The Daily Herald, “Marine transfers more numerous”, November 9, 1914. The Daily Herald, “Two score boats go after shrimp for Biloxi plants”, September 23, 1915. The Daily Herald, “Fishing fleet is augmented”, August 16, 1916. The Daily Herald, “Knights to hold big initiation”, December 14, 1918. The Daily Herald, “Wants them [Mavar family] out of trouble Dalmatia”, February 20, 1920. The Daily Herald, “Europeans will join Biloxi relatives [John Mavar]”, May 13, 1920. The Daily Herald, “Vodanovich-Mavar”, May 19, 1921. The Daily Herald, “Slight [Mary Mavar] mistake ”, May 20, 1921. The Daily Herald, “Notice to stockholders”, June 17, 1921. The Daily Herald, “Telephone case is postponed-twenty aliens admitted”, June 23, 1921. The Daily Herald, “[John Mavar] Aid cousin [Casimer Sigarich] to America”, November 24, 1922. The Daily, "Mrs. Walker [Inez Simonich] Buried", May 24, 1929. The Daily Herald, “Shrimp canner, son thrown into water”, November 26, 1932. The Daily Herald, “Mavar workers close season with wedding”, May 2, 1941. The Daily Herald, “Fourth Term”, June 22, 1945. The Daily Herald, “John S. Mavar, retired seafood canner, is dead”, August 15, 1960. The Daily Herald, “Port body [Biloxi Port Commission] headed by Sam Mavar”, December 9, 1964. The Daily Herald, “Pierce-Mavar nuptials revealed today”, June 23, 1966. The Daily Herald, “John Mavar Jr. taken by death in New Orleans”, January 15, 1973. The Daily Picayune, “In St. Bernard”, April 14, 1907. The New Orleans Item, “Fished waters without license”, April 14, 1907. The New Orleans Item, “Special election in St. Bernard”, April 16, 1907. The New Orleans Item, “After violators of oyster laws”, May 7, 1907. The Sun Herald, “Irma Sumerlin Mavar”, September 5, 2001. The Sun Herald, “Nick A. Mavar Sr.”, February 5, 2003. The Sun Herald, “Lucy Sekul Mavar”, June 24, 2004. The Sun Herald, “Mrs. Lucy Sekul Mavar”, June 24, 2004. The Times-Picayune, “Stiff sentences loom for [Miro Mavar] faking paupers oath”, April 25, 1926. The Times-Picayune, “Court continues suit over shrimp inspection rules”, June 6, 1933. The Times-Picayune, “Personals [Taliancich-Mavar]”, May 2, 1937. The Times-Picayune, “Biloxi crowds entertained by races for power boats”, July 5, 1938. 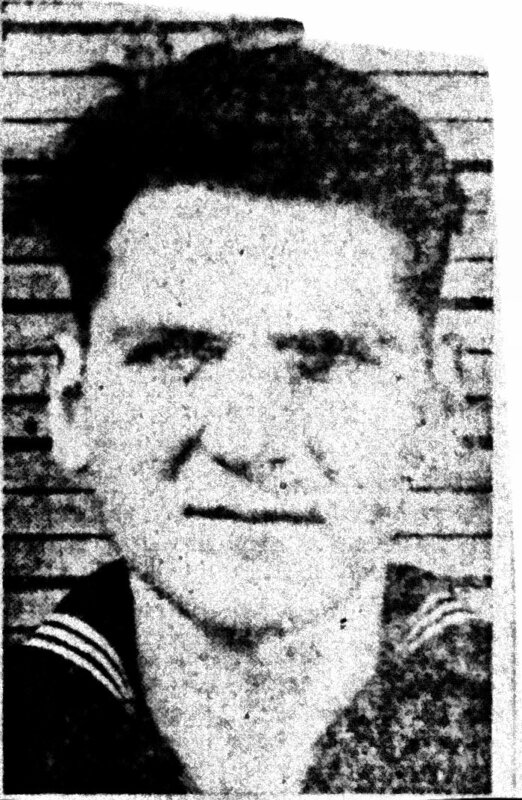 The Times-Picayune, “Deaths [James Mario Biskupovich]”, February 23, 1954. The Times-Picayune, “Restaurateur [George Vodanovich] dies suddenly”, January 0, 1958. The Times-Picayune, “Miss Claire Gayle Donlon”, March 2, 1958. The Times-Picayune, “Ills of shrimp industry told”, March 8, 1960. The Times-Picayune, “Shrimp trawls still are held”, August 24, 1960. The Times-Picayune, “Deaths [Anna Mavar Biskupovich]”, August 28, 1969. The Times-Picayune, “Seafood loss $75,000,000”, September 12, 1969. The Times-Picayune, “Deaths [Sam Mavar]”, February 5, 1974. The Times-Picayune, “Deaths [Marie Mavar Vodanovich]”, March 4, 1981. 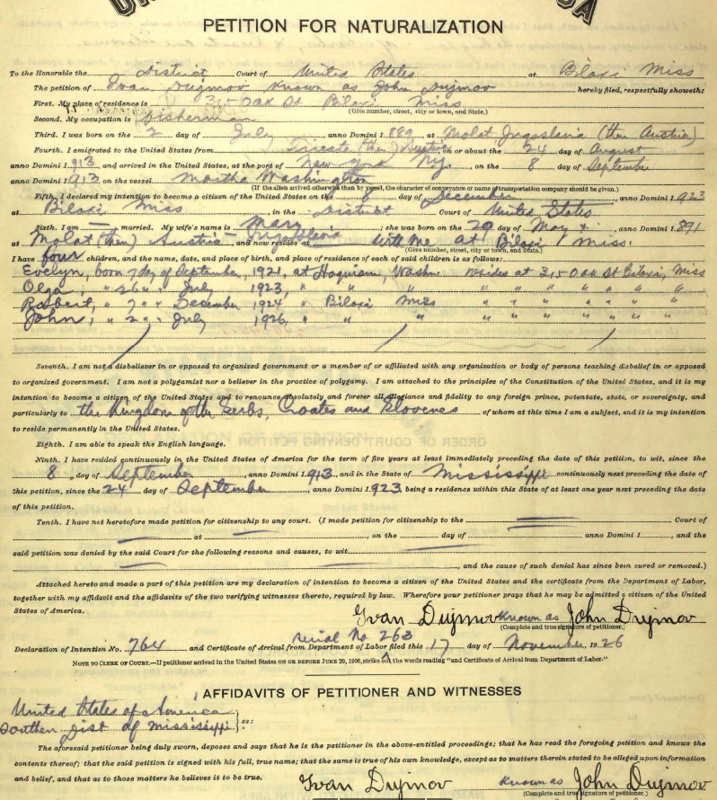 Another family of southern European origin to settle in the St. Martin community of Jackson County, Mississippi before 1920, was the Savin brothers, Antonio Savin, (1881-1920+), John M. Savin (1885-1940), and Marion Savin (1889-1920+). They were from the island of Molat off the Dalmatian coast of Croatia. In the St. Martin community north of Back Bay, Tony Savin had a truck farm, John toiled as a garage mechanic, probably for James Ferguson (1897-1920+), and Marion Savin fished. The Savin place was north of St. Martin Bayou between the lands of Van Eaton Seymour and Charles Dundolph and also south of the Ocean Springs-Biloxi Road, now LeMoyne Boulevard. In April 1922, John M. Savin married Mary Jane Elizabeth Latimer (1895-1949). She was the daughter of Judge James A. Latimer (1859-1922) and Jane Seymour. Judge Latimer may have been the first person to own an automobile in the eastern St. Martin community. They may have had a son, John L. Savin (1922-1983). The Daily Herald, “[John Savin] Having a hard time getting his naturalization”, March 2, 1921. 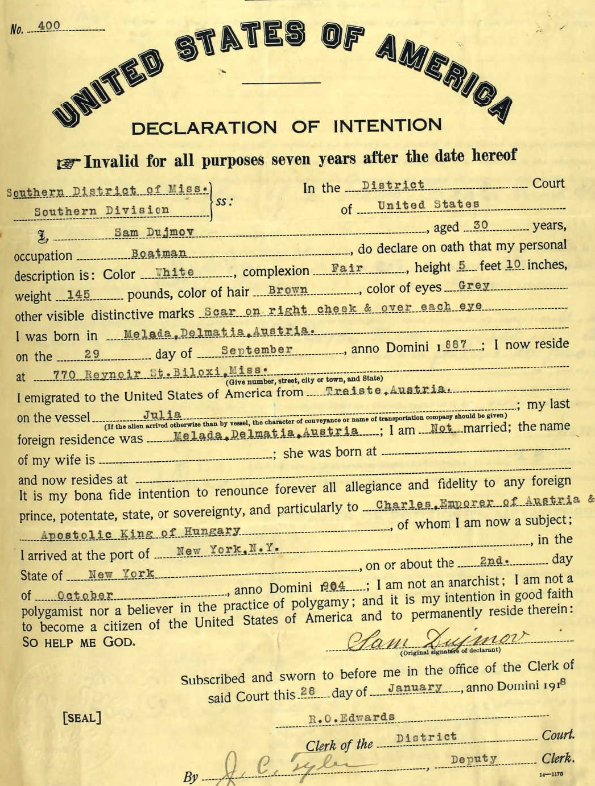 The Daily Herald, “Ruling of interest made in naturalization [John Savin] case”, April 20, 1921. The Daily Herald, “Declaration died , so [John Savin] must wait two years”, May 14, 1921. The Daily Herald, “John M. Savin dies”, August 29, 1940.